This season rompers & jumpsuits are back in a big way. Designer Rompers and Jumpsuits never go out of style and now this all in one wonder is a key trend. Why we love rompers is they are playful, versatile and our selection has eye-popping details. The romper can be worn dressy just accessorize with great jewelry and heels or go casual with flip flops. 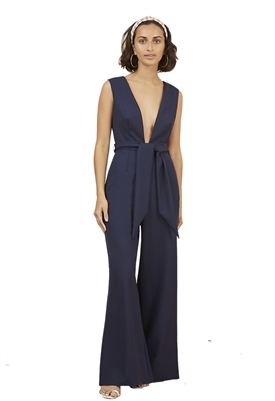 The jumpsuit is a great alternative to the cocktail dress and it is a stand out statement piece this season. 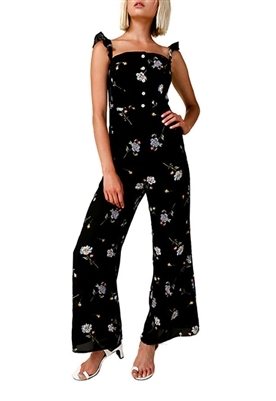 Rompers and Jumpsuits are a stylish way to change up your look. The romper is a great alternative to a mini dress. The jumpsuit will have you looking effortlessly chic. The dressy romper and jumpsuit are perfect for a night out in the city for dinner and drinks. 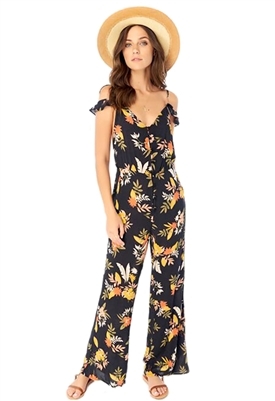 The casual romper & jumpsuit are great for running around in the city on the weekend or going to the beach in the warmer weather. There are so many great styles to choose from long sleeves to strapless, loose fitting or body conscious, cut out and open back - it is all about what looks amazing on and the fit. So many great choices, enjoy shopping our selection.